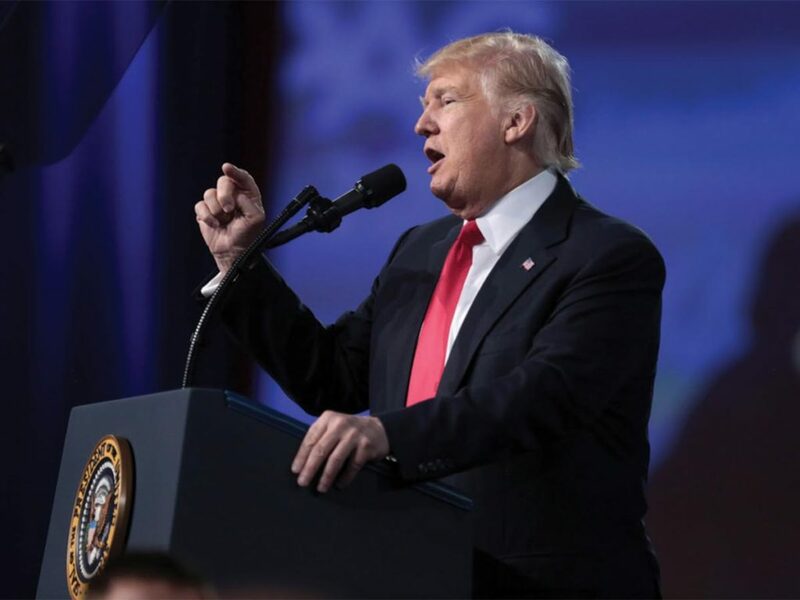 On Feb. 28, 2017, President Donald J. Trump gave his first speech to the U.S. Congress, one that highlighted his goals for the peace, prosperity and security of all American citizens. Trump renewed many of his campaign promises, such as eradicating Islamic State group and bringing America’s infrastructure to the 21st century. One question seems to be blowing around the mainstream media about whether he has good ideas and if they can actually be put to work. Trump’s speech to Congress provided much-need relief to America, casting himself as presidential and sticking to his speech. One of Trump’s major campaign platforms was to rebuild the crumbling infrastructure of the U.S. In his speech to Congress, Trump proudly declared, “Crumbling infrastructure will be replaced with new roads, bridges, tunnels, airports and railways gleaming across our very, very beautiful land.” But can Trump actually do this politically? It is obvious that this type of spending will help him at the polls come 2020 but whether it will benefit the economy is another issue. I doubt that a buildup of infrastructure will give us the economic growth Trump hopes for. It relies on a Keynesian viewpoint, which basically says that putting people to work will give them money to spend, ultimately helping the economy. This was the basis for Obama’s 2009 stimulus package which also heavily emphasized infrastructure construction and Franklin D. Roosevelt’s “New Deal.” Keynes, instead of increasing deficits, calls for a decrease when countries are out of recessions, like the present U.S. It does not show that massive buildups of infrastructure helps economic growth. Take Japan, for example, which has spent over $6 trillion on infrastructure and seen little growth because of it. Trump also mentioned the recent push to increase school choice, which has been spearheaded by Secretary of Education Betsy DeVos, where Trump deemed education as “the civil rights issue of our time.” It is mind-boggling to me how people can criticize letting parents decide where they think their children should be educated. Though I do not support charter schools, many of our public schools are failing and it is the right of the parent to decide whether their children should attend some other school. Private schools are too expensive for lower-class American families to afford and DeVos and Trump are letting poorer families decide for their children. However, there are good public and private schools alike, and families should be able to choose the option that fits them best. In the last part of his speech, Trump promised to send “Congress a budget that rebuilds the military, eliminates the defense sequester and calls for one of the largest increases in defense spending in American history.” It is time we start spending money on our military since our equipment is aging. However, a $54 billion increase in the military budget is unwise. Just because we pour money into the Pentagon, does not mean we will have a more capable defense force; where the money we have goes, like expanding the Navy fleet, is something the Trump administration needs to carefully deliberate. These dramatic, far-reaching hikes are chiefly unaffordable and seems to me as a political move to enhance his image among the public. Trump’s first speech to Congress was a breath of fresh air compared to his inflammatory tone during his campaign and recent press conferences. He outlined the campaign promises he intends to keep and seems to be doing a good job at making sure they go into law. All we can hope for now is that Trump does not act irrationally and gets his administration to a point where it is not presented as a pariah in the eyes of the people.